OLD PARKED CARS. 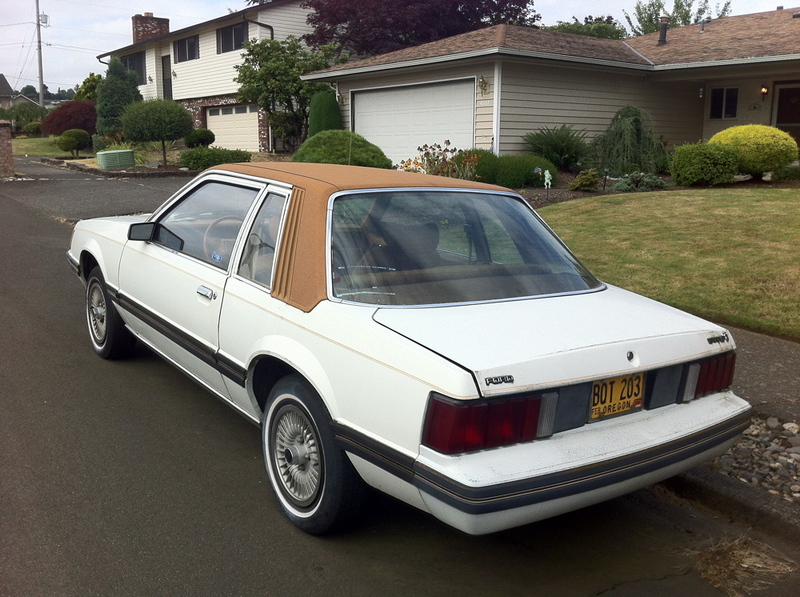 : 1980 Ford Mustang Ghia. Good heavens, I'd forgotten that Ford put vinyl roofs on these. Gotta love the 4-eye pre facelift Stangs. Yeah, Ford bought the Ghia design house soon after the Karmann Ghia stopped being produced. 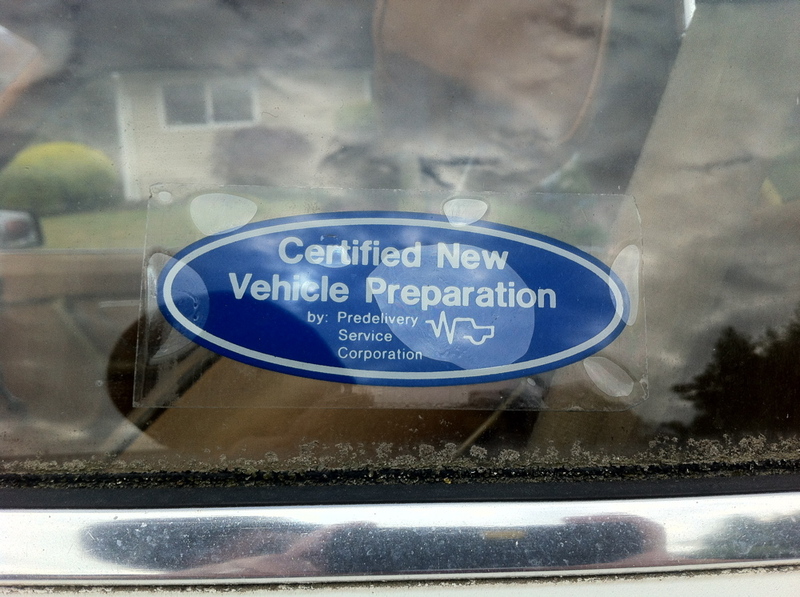 Ford then slapped that badge on any vinyl topped faux luxury car they could. 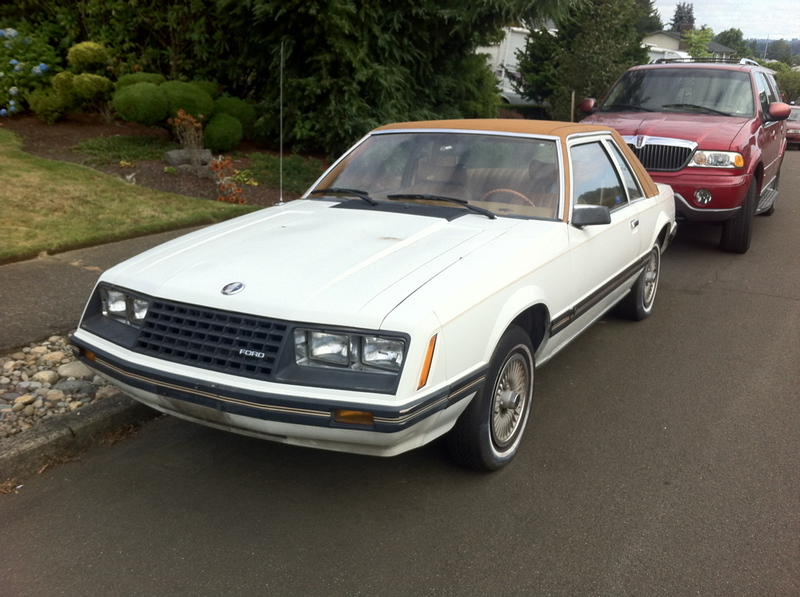 Remember the Granada Ghia? Then they had the nerve to debore the 302 for 1980 and turn it into the 260 boat anchor with 115hp. Sad times, 1980.
missing the obligatory and disgusting luggage rack on the trunklid. i wouldn't necessarily call this a "low point" when you consider the entire scope of the mustang's lifecycle, but it's definitely somewhere near the bottom. It's a cute car I like it. A sibling of mine had a 79. I don't remember if it had a vinyl roof. I got to drive the car once or twice & it was pretty easy to drive. I know this above model is no comparison to the original Mustang. 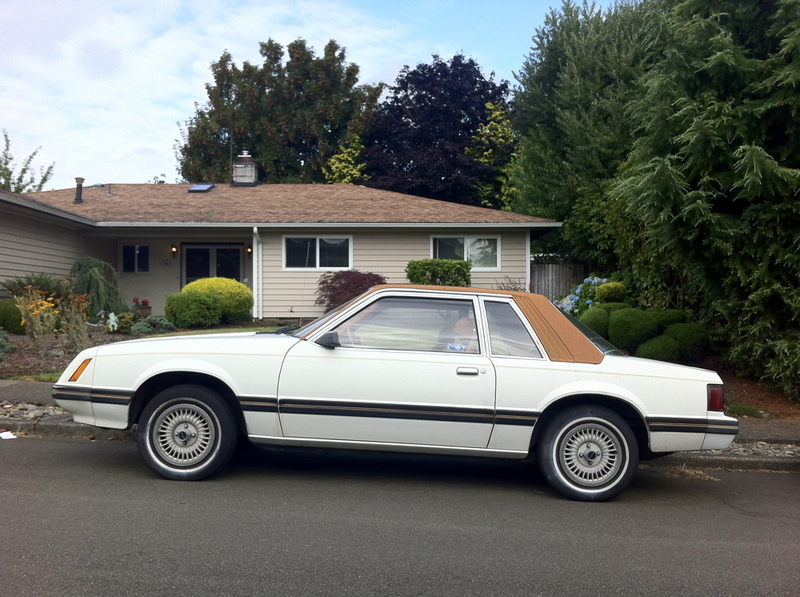 If I had the opportunity to drive a 79-82 Mustang thats reliable I would use it as my daily driver. Basically it's a simple car with alright looks.